A biography without the voice of its subject is, usually, worthless. So a biography of Joni Mitchell, based on interviews with her that are as candid as her lyrics, is pure gold. Poet, painter, songwriter, composer Mitchell - in my view, one of the greatest artists of the 20th century, period - spews her anger, insecurities and bitterness in ways that create a can't-put-it-down portrait of the genius songwriter who refused to be confined by convention. Fortunately, music writer David Yaffe does not take Mitchell's word for everything, but tracks down just about every lover, collaborator and friend whom she celebrates - and disses - to get their points of view. Not surprisingly, these accounts often have a Rashomon quality. It would all be just a pile of gossip were Yaffe not so bent on honouring her prodigious musical output. As any critic will tell you, writing about music demands serious craft. You have to find a way to put into words what an artist is trying to convey in ways that somehow make the reader hear the sounds those artists are creating. Yaffe does that expertly. He explains why Mitchell's open tunings sound so unusual and how her bout with polio weakened her left hand, leading her to adopt the easier positions open tunings allowed. In Mitchell's later jazz-inflected work, she layered chords in ways never imagined. Yaffe not only describes her techniques so you understand her method and intention, he talks to the musicians who worked with her on those pieces and they recount how they found ways to follow her lead. He also traces the origins of her songs, who they were about, why she wrote them and what they meant to her. As an artist, she was - I use the past tense only because the aneurysm she suffered in 2015 was hugely debilitating - a walking contradiction. She wanted the kudos and the attention but then kept taking steps to undermine her career. After the mega-success of 1974's Court And Spark and her subsequent concert tour, Mitchell released The Hissing Of Summer Lawns, a superb album, yes, but which was also an all-out verbal assault on the bourgeoisie and an artistic middle finger to her mostly bourgeois fan base. She bravely pursued her Charlie Mingus collaboration - and later jazz works - knowing her admirers probably would not follow along. And worse, she continued to trash her essential asset - the glorious three-octave voice that went from a thrilling soprano to a guttural tenor - by smoking four packs of cigarettes a day. But it's Mitchell's personality that leaps off the page: a keen observer of politics but definitely not a joiner of movements; vulnerable in her art yet cold and guarded in person; egomaniacal - she knew she was more talented and smarter than just about everybody - yet hopelessly insecure. Sadly, she does not come across as a very nice person, something Yaffe's interview subjects consistently reinforce. Emblematic of Mitchell's edge (to be kind) is the way she treated her first artistic benefactor, Judy Collins. A major star at the time with a knack for choosing excellent material for bestselling albums, Collins recorded the then-unknown Mitchell's Clouds and made it a hit - and Mitchell a chunk of change. Mitchell went on to mercilessly mock Collins's version of the song, claiming she sounded like "the damsel in the greenroom," and "la-di-da." 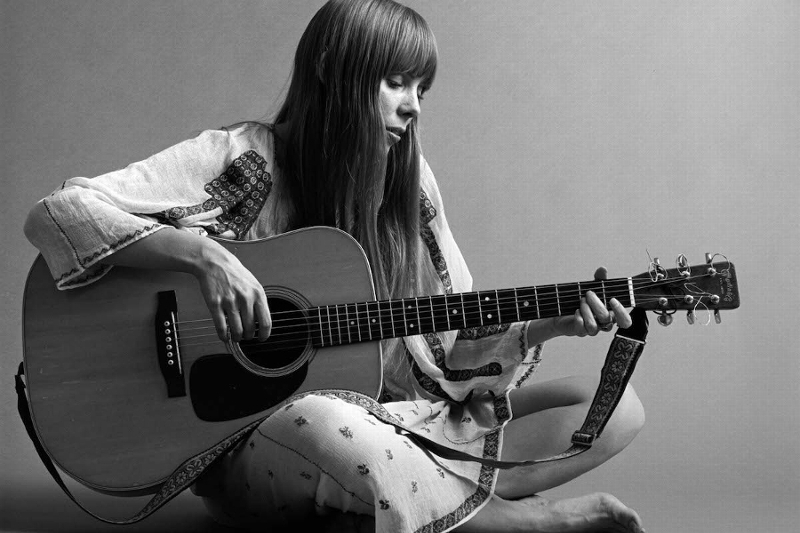 The reaction mystified Collins, until David Crosby assured her, "Oh, Joni hates everybody." Where did all that bitterness come from? Her bout with polio as a child, which almost killed her? Her audience's refusal to follow her wherever her music took her? The unremitting sexism of the music industry? Rolling Stone famously awarded her the title of Old Lady of the Year in 1971, and mapped out all her loverships - not all of them real - in the rock community, which rightly infuriated her. The article didn't talk about her music and she had many times more talent than any of the alleged partners. Or maybe genius is just too much of a burden to bear. Yaffe launches Reckless Daughter at Hugh's Room (2261 Dundas West) on October 12. See listing. This article has been viewed 4,831 times since being added on October 3, 2017.